Each year we gather as men and get away from the crazy life that envelopes us to some quiet time with each other and with the Lord. It is in these moments that God does some of his most powerful work as he gets our undivided attention. 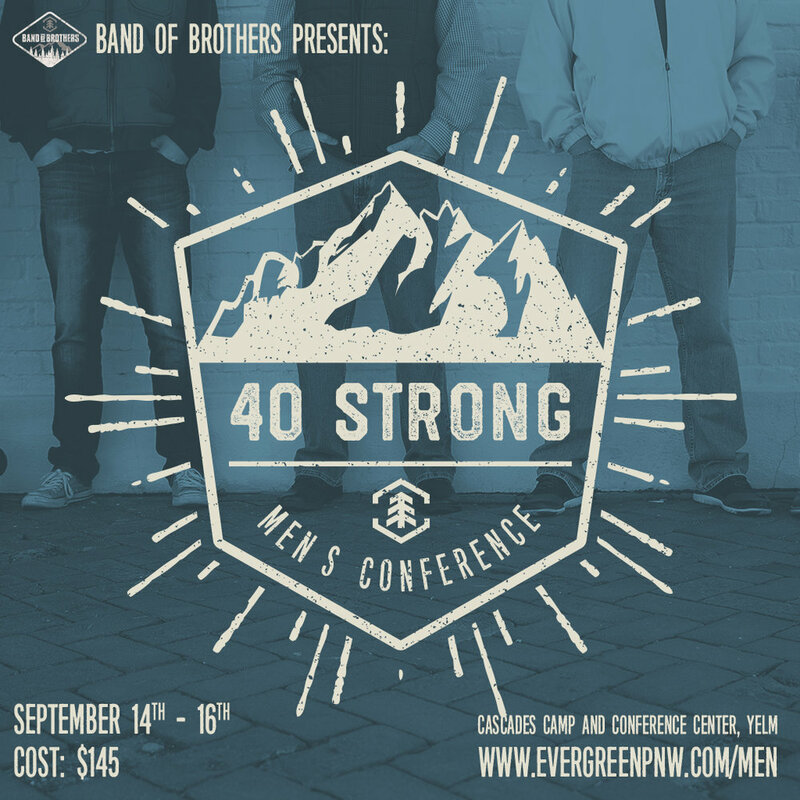 These events are always packed with powerful teachings, fellowship & community and bonding as iron sharpens iron. God has called us to be leaders in whatever capacity we are in and we need a community of men to help us do this, God never intended us to do this alone. September 14-16. Jim Ladd speaking. Cascades Camp and Conference Center in Yelm,WA.